Enda Kenny dreaming of an overall majority? FINE GAEL GATHERS for its final think-in in Limerick today knowing that much will have changed by the time the party assembles for a similar event in September 2016. Enda Kenny is desperate to do what none of his predecessors managed and lead Fine Gael back into government after the next general election. It’s part of the reason why he never took one of those fancy European jobs when they appeared to be on offer last year. Can he do it? On current polls, there’s a decent chance Fine Gael will be part of the next government, most likely as the largest party, but what form that government takes is far from clear. The party’s preference is coalition with Labour, while the bookies think a historic link-up with Fianna Fáil is most likely. Many commentators believe a coalition of Fine Gael, a much-reduced Labour and some like-minded independents is a runner. There is also the possibility of a Fine Gael minority government which brings with it the sort of instability that makes it hard to see it lasting any longer than 18 months. But there is another possibility. One that is spoken of by few in Fine Gael bar those who are either very optimistic or delusional, depending on your point of view. It is that Fine Gael could win an overall majority at the next general election. Many dismiss the idea, not least because of the continuing unpopularity of Enda Kenny, the various crises (water and homelessness) that have hit government in recent times, and the not unreasonable view that the poorest have been hardest hit by the coalition’s efforts to restore economic growth. Let’s be clear, it’s highly unlikely to happen, and most think it impossible. Paddy Power gives odds of 33/1, but some in Fine Gael have quietly spoken of the possibility in recent weeks. They cite the example of the Conservatives winning an overall majority in the UK last May despite pre-election polls indicating otherwise. Ultimately, voters decided they trusted the Tories’ economic competence over the uncertainty of Ed Miliband’s Labour and a potential hodge-podge coalition, including the SNP. Fine Gaelers who dare to dream think the same certainty the party brings to economic matters could convince voters here, particularly when you consider the fractured political landscape in Ireland right now. While vastly different electoral systems make single-party government a rarity here, there are some points worth noting when talking about Fine Gael’s holy grail. The party has not borne the brunt of voter anger over the last four years when compared to Labour. It has performed pretty well in various electoral tests, including winning two by-elections. Its local election strategy was all wrong last year but in the European elections it retained its four seats. In the likes of Leo Varadkar and Frances Fitzgerald, the party has some of the most popular ministers in the country. While Michael Noonan has overseen a growing economy and delivered tax cuts, Richard Bruton’s Action Plan for Jobs has created thousands of them, and Simon Coveney showed leadership and competence during the horsemeat crisis. 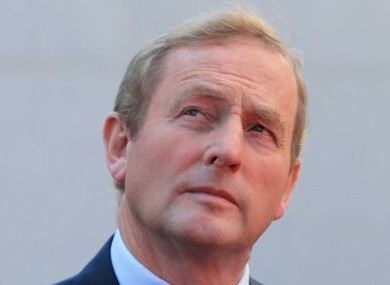 People might not like Enda Kenny – or believe him over Fennelly – but he has been a more competent Taoiseach than many imagined he would be five years ago when he faced ridicule and internal dissent. They also know he won’t be around forever and could step down midway through his second term. In seeking to go it alone, Fine Gael would have to argue that is the only party which provides certainty on the economy and cutting taxes, and that no one else can be trusted. That argument is helped by the economic recovery of the last four years and the recent tax cuts. But it will also have to attract middle-ground voters on issues like childcare and abortion. Fine Gael would have to pursue votes that Labour got in 2011 and hope it has the effect of winning Dáil seats just as the Tories edged out the Liberal Democrats in many marginal Westminster seats last May. But even with all that it’s worth remembering that single-party government generally doesn’t happen in Ireland and Fine Gael has never come close. In 2011, polls suggesting it might be able to govern alone spooked voters into ensuring it needed Labour. While it is now the biggest party in the state and is likely to remain so after the next election, Fine Gael is nowhere near the 40 per cent support required to start thinking about governing alone. Getting there and more importantly winning enough seats – 79 would be needed – is a huge ask of the party’s organisation. Some wonder whether there is sufficient quality in terms of candidates to achieve a result where almost all of those who put their names forward would have to be elected. An overall majority would, for example, involve Fine Gael taking two seats in Dublin West and as many as three in Dublin Bay North. The party would need to retain all of its seats in heartlands like Dublin Bay South, Dublin Rathdown, Cavan-Monaghan and Mayo. It’s highly unlikely, many rightly say impossible, but there’s no doubt it’s being quietly discussed among party figures and will be again as TDs, Senators and MEPs gather in Adare today and tomorrow. Email “Can Fine Gael dare to dream of an overall majority? ”. Feedback on “Can Fine Gael dare to dream of an overall majority? ”.